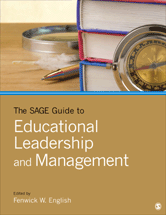 The SAGE Guide to Educational Leadership and Management allows readers to gain knowledge of educational management in practice while providing insights into challenges facing educational leaders and the strategies, skills, and techniques needed to enhance administrative performance. 17. Expectations Exceeding Revenues: Budgeting for Increased Productivity - William K. Poston, Jr.